Horncastle were narrowly defeated as Freiston seconds made it two wins in a row with another closely fought victory. Skipper John Goodfellow top scored with a dogged 27, and the support he received from the Freiston lower order was vital. Batting first Freiston were in trouble at 46-6, however the last four wickets more than doubled the score to give Freiston a chance. Connor Goodfellow made 12 and JP Horton 10 but Freiston’s top order didn’t fire. John Goodfellow added 21 with Tim Laverton (7) before Ryan Overton made eight thanks to a couple of lusty blows. Freiston were led by Danny Lumley with the ball as the young seamer claimed 3-11. 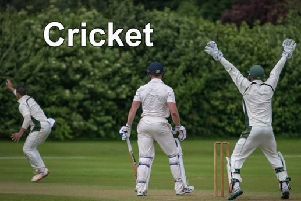 Ryan Overton also chipped in with three wickets as Freiston looked on course for victory as they reduced Horncastle to 30-7. However, a 41 run partnership between Jonathan Clark (24) and Tom Wilkinson (25) kept the game alive. Two wickets from Ashok Kumar and a run out by Jack Lawrence sealed the victory for Freiston.